Our priority: Improve your comfort and our activities by guaranteeing you the best value for money. Our motto: News every year in our campsite in Périgord. A lot of effort and energy on our part to make major improvements in 2019. 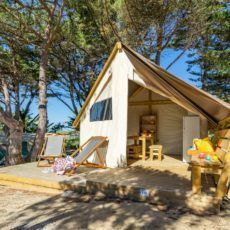 In October, as soon as the campsite was closed, we went to La Rochelle to participate in the largest showroom reserved for camping professionals. This is where we choose every year the novelties for the next season. Always more comfort at the campsite in Perigord. Installation at location 14 of a new lodge tent. 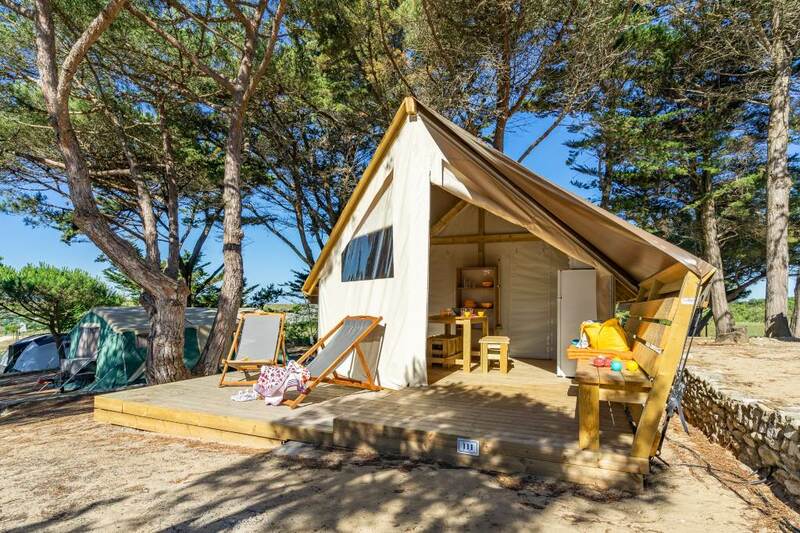 The Junior XL can accommodate up to 5 people. It is equipped with a master bedroom with a double bed and a second bedroom with a single bed and 2 bunk beds. There is a large indoor living area and an outdoor terrace. Extension of WIFI on all the campsite and all the pitches. The department of the Dordogne has proceeded to a rise of the internet flow which benefited the municipality of Bouzic. 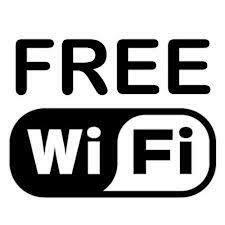 We can now offer free WIFI on the entire campsite. Renovation of the beaches of our pools and the installation of new umbrellas “exotic” style. You will walk on a comfortable draining resin color Safran. It is small gravel compacted and mixed with a special resin that allows water to pass through. No more puddles and stagnant water around the pools. Considerable improvement in the quality of the mobile phone network with the construction of a pylon at a place called “La Franquie” overlooking the town of Bouzic and its surroundings. All operators (Orange, Bouygue Telecom, SFR and Freemobile) will be connected. Our animations on the theme of nature. This year, in addition to traditional games, tournaments, campfires … for the youngest, we decided to organize our activities around the theme of nature. 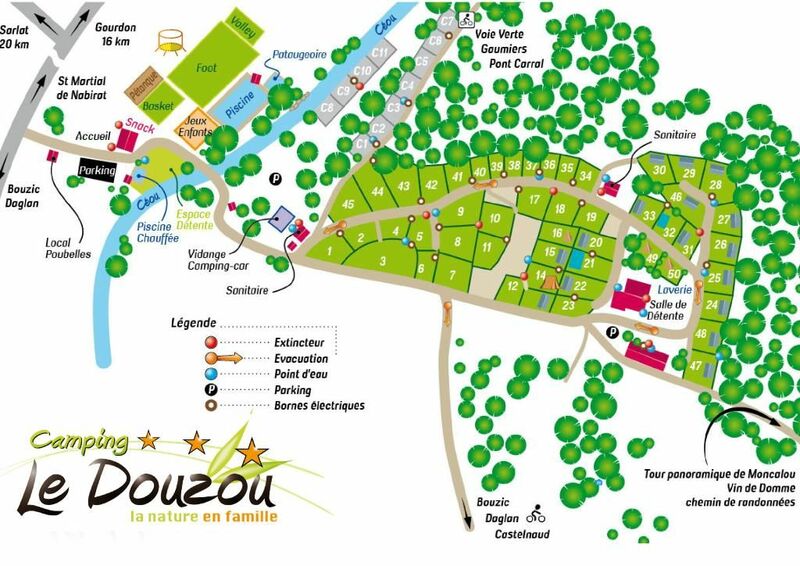 The Douzou is located in the heart of the Périgord Noir nature, in the forest and at the edge of the river. It is the perfect place for your children to have fun while learning about the flora and fauna around them. To do this, our animator will be specially trained. He will set up a program of activities tailored and unique to our campsite. 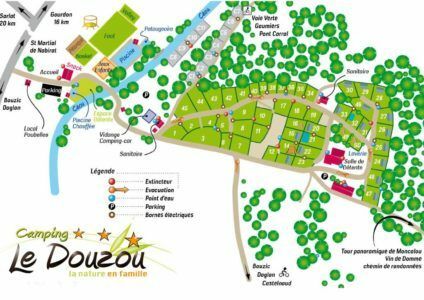 Plants, terrestrial and aquatic animals of Douzou will have no more secrets for your children. Every year we redouble our efforts to make your holidays unforgettable. Our strategy: Do our best for your happiness and especially that of your children. And as in the Douzou, comfort is never paid at high prices, we have not increased any of our rates.